AquaMaxx Phosphate Out Pro is a high capacity granular ferric oxide adsorptive filter media that removes phosphate from aquarium water. Phosphate is a fuel for algae growth and can also inhibit a coral`s ability to utilize calcium in water. Phosphate Out does not leach phosphate back into aquarium water after it has been absorbed by the media. For best results, use AquaMaxx Phosphate Out inside a canister, hang-on back or other aquarium filtration system. Using a filter media bag is strongly recommended. Phosphate Out can also be used in fluidized (up-flow) media reactors. A ball valve is required to regulate a slow flow rate through the filter to prevent granules from becoming pulverized. Phosphate Out Pro will hold up to twice the amount of phosphate when compared to standard granular ferric oxide. As with all phosphate removal media, it will have an affect on your alkalinity levels so be sure to test your water regularly. 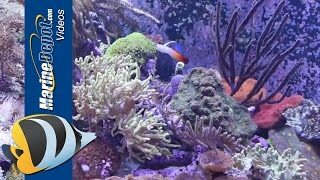 Use 1/4 to 1/2 cup per 50 gallons for saltwater aquariums. 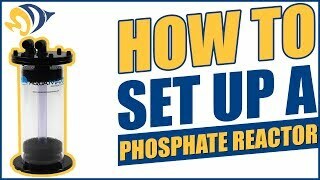 Test phosphate levels and replace media when levels begin to rise (approximately every 3-6 months). AquaMaxx is a Southern California-based aquarium supply company that entered the market in mid-2008 with a line of affordable metal halide bulbs. The brand quickly gained recognition as word spread about the high quality and low cost of their lamps. In 2009, AquaMaxx released a line of aquarium filter socks and, in early 2010, unveiled an assortment of high-performance protein skimmer accessories and upgrades. Love the high capacity gfo. Only use half of what you would with regular gfo. I have to say it lasts twice as long and worth every penny. 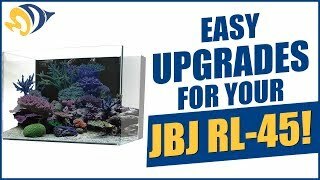 I totally recommend to anyone who has large reef or fish only aquariums. Aquamaxx HO gfo Is outstanding.i will not use anything else.also I don't have to change it as often because it last up to 3 to 6 months.it cost a little more than regular gfo but it's worth the money.